Saab and Volvo are up for sale. Ford Motor and General Motors failed with their Swedish brands because they never got the full attention of their US owners. Saab has rarely achieved a profit for GM. In 2007, the brand lost 2.2 billion kronor (360 million), according to Swedish financial daily Dagens Industri. Volvo, which Ford bought in 1999, was profitable at first, but its last year in the black was 2005, when it earned $377 million. Hit hard by a new-car sales slump in the US and the global economic downturn, both Ford and GM are now considering the sale of their Swedish units. 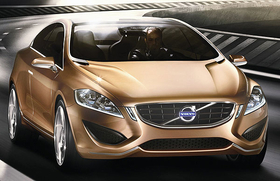 Analysts agree premium brands such as Saab and Volvo need attention. Something they didnt get in sufficient quantities as their American owners focused on their core volume brands. The person in charge of [GMs European volume brand] Opel is probably number 30 in the GM hierarchy; if you are the person in charge of Saab, youre probably in 80th place of farther down, said Jürgen Pieper, an analyst at Metzler Bank in Germany. 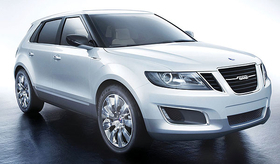 The Saab 9-4X, to be launched in 2010, will be only the third model in the range. Some industry watchers question why GM and Ford bought the brands in the first place. GMs purchase of a 50 percent stake in Saab in 1990 is widely thought to have been a response to its failure to buy British luxury sports car maker Jaguar. GM took full ownership of Saab in 2000. Despite showing many concept cars at auto shows in recent years, GM has not expanded Saabs product range beyond the 9-3 and 9-5. The 9-3 dates back to 2002 and the 9-5 to 1997. There was also a question of Saabs position in the market. The brand is not a premium rival to BMW or Mercedes-Benz, not a performance brand like Jaguar. And it is not a volume brand. Critics says Saab cars have lost much of their individuality and there are too many similarities with Opels. Volvos troubles relate to its reliance on large cars and its late entry into the diesel market. Volvo cars have relatively poor fuel efficiency and high CO2 emissions, which hurts sales. While Saab had too few models, Volvo has perhaps spread itself too thin. It 10-model range is difficult to sustain for a carmaker that made a mere 450,000 cars last year. In addition, Volvos reputation is based on safety -- but many brands, including mass-market ones, have greatly improved in this area. Achieving the top five-star rating in the EuroNCAP car safety tests is now common and is less of a selling point. Most industry watchers agree that Ford has done better with Volvo than GM has with Saab. But some still question whether Ford really understands the brand. The S60 concept to be shown in Detroit -- one of 10 models in Volvos range. It tried to move Volvo upmarket, but analysts think the Swedish brand lacks the quality to compete with Mercedes, BMW or Audi. Volvos image also suffered because Volvo used many Ford technologies. Some customers realized they were paying premium prices for their Volvos, but were getting non-premium Ford technology. Ultimately, both Swedish brands lost some of their uniqueness and some of their Swedishness after being taken over by the American giants. They were also too dependent on the US, which made them vulnerable to currency changes.